In mid-January, the FBI released its Preliminary Semiannual Uniform Crime Report (UCR), which provides initial statistics on crime in the United States for the first half of 2017. More than 13,000 law enforcement agencies voluntarily report crime data into the UCR system, which serves as the primary source of national crime statistics for public safety and criminal justice agencies. According to the UCR, two of the four violent crime categories—rapes and robberies—decreased by 2.4 and 2.2 percent, respectively, in the first half of 2017 when compared to the same time period in 2016. The aggravated assault rate remained relatively unchanged, ticking down by 0.1 percent, while homicides increased by 1.5 percent. To criminologists, the report provided more evidence that violent crime in the United States continues to remain near historic lows. The Trump administration, however, has consistently ignored evidence that violent crime rates today are low—and they have been for years. Over the past year, Attorney General Jeff Sessions and President Donald Trump have repeatedly described an apocalyptic crime wave overtaking the nation, in an attempt to justify their law and order philosophy of increasing the number of arrests and lengths of incarceration for all types of crimes, regardless of their actual correlation to violence. The Trump administration has connected virtually all unlawful activities—including marijuana and immigration offenses—with violence, even though study after study disproves this link. While it would seem that the most recent UCR would put an end to the administration’s false claims about violent crime, Sessions took advantage of the new FBI report for political gain. Crime reduction, however, does not happen overnight. Crime rates have trended downward since 1991, owing in part to the comprehensive public safety reforms in cities nationwide. The Trump administration’s view is not only divorced from reality but also does a disservice to the community advocates, police agencies, and social service and public health providers who have worked tirelessly in their cities on these issues for years. And despite the pressure from the U.S. Department of Justice to reflexively return to tough on crime policies, many mayors have stepped up to lead their cities toward a smarter approach that is fair, just, proportional, evidence-based and comprehensive. These policies—which have been implemented by leaders across the country for the past two decades—are referred to collectively as the Smart on Crime approach. In Boston, Mayor Marty Walsh and Police Commissioner Bill Evans have made prevention of youth violence a critical piece of their public safety efforts. One of their initiatives is a Summer Jobs Program for public school students. Every year, Walsh recruits hundreds of companies to hire students for paid summer internships, sometimes calling employers personally to shore up commitment. More than 3,000 students per year gain meaningful work experience with nearly 200 local employers across a spread of industries, ranging from Bank of America and Harvard University to the Boston Red Sox. In New York City, under the leadership of Mayor Bill de Blasio, crime rates have fallen to historic lows. Fewer than 300 homicides were committed in 2017, the lowest number since the city began reliably logging crime statistics. Since taking office in 2014, de Blasio has helped create a city that’s safer and fairer. In 2016, the mayor signed the Criminal Justice Reform Act, a set of bills aimed at reducing unnecessary criminal justice involvement. Taken together, the reform package established proportional responses for certain minor offenses, such as littering or public urination. The Smart on Crime approach is not only effective for big cities like Boston and New York. In Stockton, California, a small city of around 300,000 residents, Mayor Michael Tubbs began exploring strategies to bolster existing crime prevention efforts after a string of homicides in 2017. After reviewing a range of data-driven intervention programs in other cities, Tubbs proposed to bring a holistic violence interruption approach to Stockton. 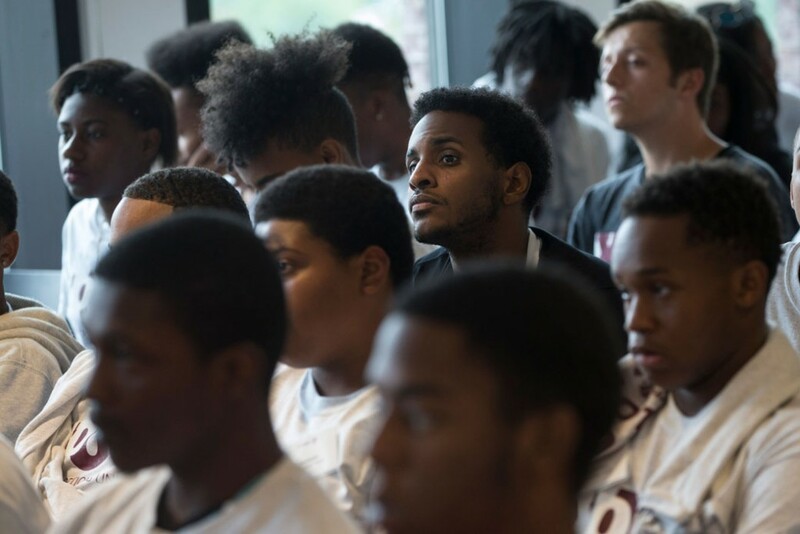 The program he chose was Advance Peace, which was first implemented in Richmond, California, in 2010 and works specifically with young men at high-risk of committing gun crime. Advance Peace matches its participants with mentors, many of whom were also previously justice-involved, who serve as role models and offer continuous support for the young men. The intensive 18-month program also connects participants with individualized interventions, including cognitive behavioral therapy, educational and internship opportunities, and a monthly stipend for participants who reach program milestones. Of the 84 participants in the first cohorts of the program in Richmond, more than 80 percent avoided gun injuries or hospitalization and 77 percent had not been suspected of firearm activity. And by 2016, Richmond had achieved a 60 percent reduction in firearm assaults resulting in injury or death. Other mayors have shown a strong commitment to being Smart on Crime. Mayor Michael Hancock led the development of the co-responder model in Denver, Colorado, where law enforcement and behavioral health specialists jointly respond to calls for service for those experiencing a mental health crisis. Mayor Jim Kenney in Philadelphia has dramatically reduced the local jail population by reducing reliance on cash bail and increasing pretrial supervision. In Gary, Indiana, Mayor Karen Freeman-Wilson has championed building trust between law enforcement and the communities they serve, and Mayor Nan Whaley in Dayton, Ohio, has pushed for a treatment first approach to the opioid crisis. And recently elected mayors, like Randall Woodfin in Birmingham, Alabama and Sharon Weston Broome in Baton Rouge, Louisiana, also are actively exploring smarter ways to address public safety issues in their communities. While the Trump administration continues to exaggerate statistics and try to incite fear for political purposes, many mayors and their community and law enforcement partners are taking a serious, honest, and thoughtful approach to criminal justice and public safety. Smart on Crime principles have been shown to work, and these mayors deserve credit for keeping their communities safe in a fair and just way. Betsy Pearl is the campaign manager for Criminal Justice Reform. Ed Chung is the vice president for Criminal Justice Reform.